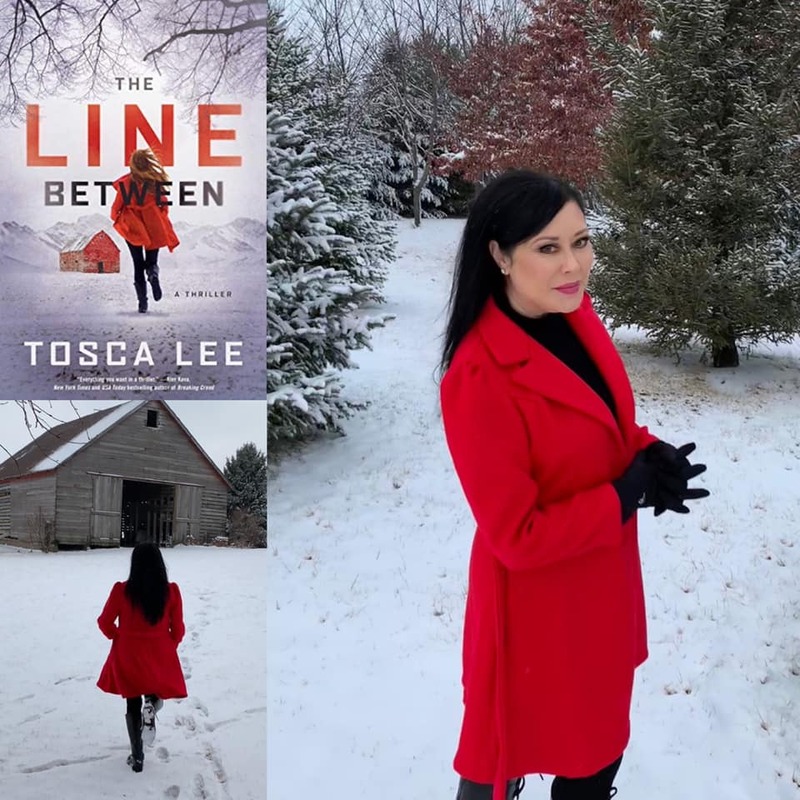 Join Tosca, and some of her fellow authors, at these events where she’ll be signing The Line Between. January 25, 2019, 6-8 pm – Happy Hour with The Traveling Pens at The Bookworm in Omaha, Nebraska Tosca will be joined by bestselling author friends Nicole Baart and Kimberly Stuart. All three will be signing their latest books. Get The Line Between before release day! January 26, 2019, 11 am-12:30 pm – Bruch with Bestsellers at Francie and Finch Bookshop in Lincoln, Nebraska. Join the Traveling Pens, Tosca Lee, Nicole Baart and Kimberly Stuart, for this special conversation with writers. Hear their writing stories and ask questions about the writing journey. All three will be signing their latest books. Get The Line Between before release day! January 26, 2019, 2-4 pm – Traveling Pens Book Signing at Barnes & Noble, SouthPointe Pavilions in Lincoln, Nebraska. Tosca will be joined by bestselling author friends Nicole Baart and Kimberly Stuart. All three will be signing their latest books. Get The Line Between before release day! February 21, 2019 7-8pm – Book signing and dish with Tosca at The Poisoned Pen Bookstore, Scottsdale, Arizona. Join Tosca for allll the details about The Line Between–the book, the TV development, and the story behind the story! (Farmer Bryan will be there, too! Haha…nice! Was this the inspiration for the cover photo then? One intriguing and nail biting book!! This thriller will keep you up all night just trying to reach it’s end. I love that there will be a sequel and that while there was a cliffhanger, it wasn’t one that will leave the reader agonizing over it. Ms. Lee is a masterful painter of words!! Her detailed plotting of Wynter’s tale was breathtaking! One plot twist after another reaches out to smack you! Wynter was such an interesting main character. My heart really felt so strongly about the events, both past and present, that she was trying to deal with. She’s so much stronger then when we first meet her adult self. I’m left with so many questions that it will seem like forever until the next book releases. I loved Chase, what a dynamic guy who you just want to learn so much more about! The cover is just phenomenal and most definitely makes a statement! I’m so very excited to share this book with everyone I know because this truly does transcend genre and age. It could have been. Whether it was or not, I love the book cover. I’m waiting for the book to arrive from Amazon. The sample chapters I read had me HOOKED. Talk about a story! Already I like The Line Between more than Iscariot which tells me Tosca keeps getting better each book. Really impressive writing.